Start a Homeless Pet Military Club! Military organizations can reach a wide audience to help save an animal's life! 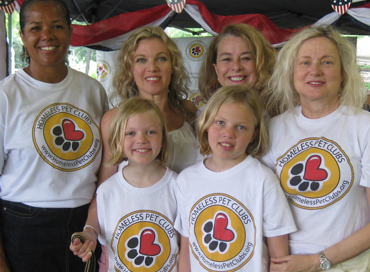 Starting a Homeless Pet Military Club is easy and it is FREE. Simply fill out the registration form below and you are on your way to helping homeless animals in your community. If your area does not have a participating shelter, please select the Homeless Pet Foundation. We will partner with your military club in providing a homeless pet for adoption and via our Underhound Railway transport the pet for free to its new home and Dr. Good will personally meet with your pet's new adopted family.